Manisha Patel lived in UK for about 4.5 years. She came back to India in 2004. She had completed her MBA in International Business from a US University. Then she graduated from University in 2003. She learned many important entrepreneurial lessons in MBA and that prompted her to create a business called: ThreeSite.com. 1. Please share with us what prompted you to create ThreeSite.com? Manisha: I lived in UK for about 4.5 years. I came back to India in 2004. I had completed my MBA in International Business from a U.S. University. I graduated from University in 2003. I learned many important entrepreneurial lessons in my MBA Program and it prompted me to create a business called ThreeSite.com. Manisha: Apart from being an entrepreneur, I also play two very important roles – Mother & Wife. My day starts at around 5.30 am with 30 mins of refreshing and & light exercise in the green grass. I then prepare my son, Sean, for school. After that, I and my husband prepare for work. In the evening, we have a family dinner with beautiful indian curries and dishes. At around 8.30 pm, I get back on my laptop and check my emails as many of my clients are in USA, UK and Europe. Due to time zone differences, I need to touch base with my prospects and clients in the late evenings. I read motivational books in the evening and go to bed around 11.30 pm. Never check your emails when you wake up. Set SMART Goals – (Specific, Measurable, Achievable, Reasonable and Time-Oriented Goals). 6. Given the current economic climate, what has been your strategy for building awareness of ThreeSite.com for short-term and long-term growth? 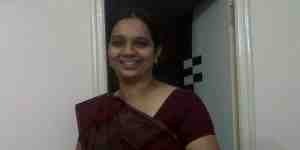 Manisha: Our aim at ThreeSite.com is “Your Online Success Is Our Business”. In the current climate, we would like to help individuals and small businesses as much as we can in order to grow their online business by offering cost effective services such as web design, search engine optimization, social media marketing, wordpress website development, virtual assistant, link building and iPhone app development. In long run, we want to add more services and also would like to serve more customers across US, UK, Europe, Australia & New Zealand. Manisha: ThreeSite.com successfully delivered 600+ projects in the last 8 years. Our business is now Level 2 Supplier on Fiverr.com. Our proudest achievement was when we completed 500th Project as we were in the first 10% service provider list of those who had completed these many projects in a short period of time. Set mobiles and laptops off for 10 mins a day. Manisha: Giving back to the community is always my favorite topic. I visit a temple every Saturday and provide food to poor people. Manisha: My dad who is also an entrepreneur had influenced me a lot to start a business.